June | 2011 | ride.hike.eat. I have been visiting the downtown public market for the past two weekends. While there last weekend, my friend Kristin introduced me to her favorite fish vendor (unfortunately, I do not know the vendor name, but they are located in the enclosed area of the market). The vendor has the most beautiful fish, which they slice for you to order. Kristin also introduced me to her favorite salmon sauce, a dill mustard sauce. 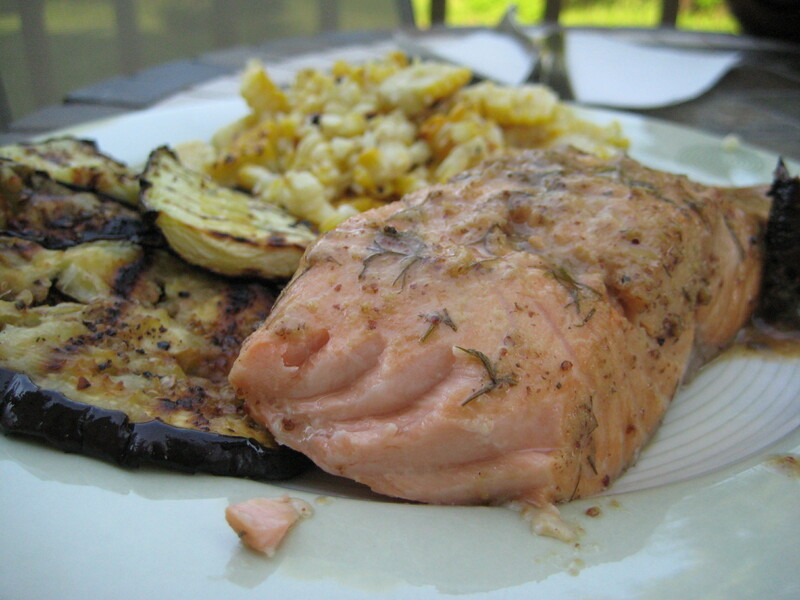 The salmon fillets that I bought from the market as well as the dill mustard sauce produced the most amazing salmon that I have ever had! In fact, it was so delicious, that I made it again for dinner tonight. The sauce is very easy to make. It includes vinegar (I used rice vinegar), Dijon mustard, brown sugar, vegetable oil (I used sunflower oil), soy sauce, salt and pepper, as well as lots of fresh dill. You simply whisk together the ingredients and voilà… you have the most delicious sauce. 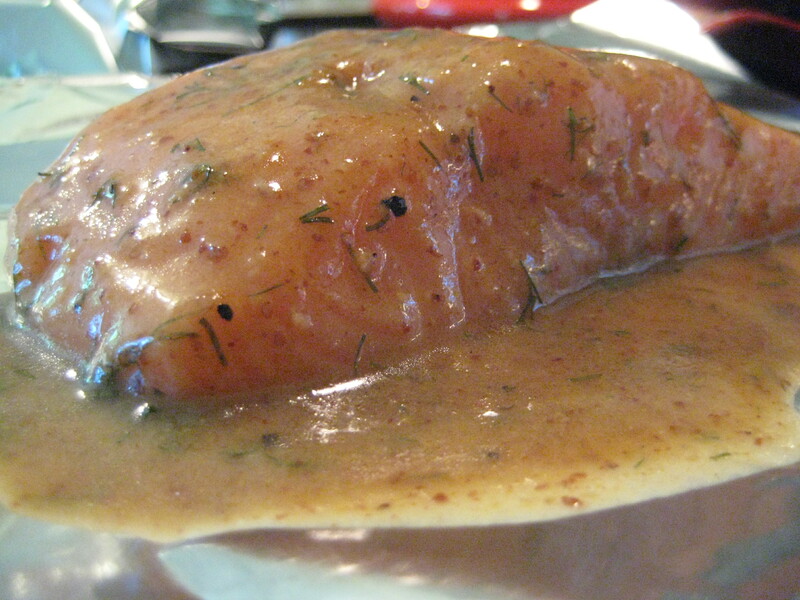 Kristin mentioned that she marinates the salmon fillets in the sauce prior to grilling, so I followed her advice. 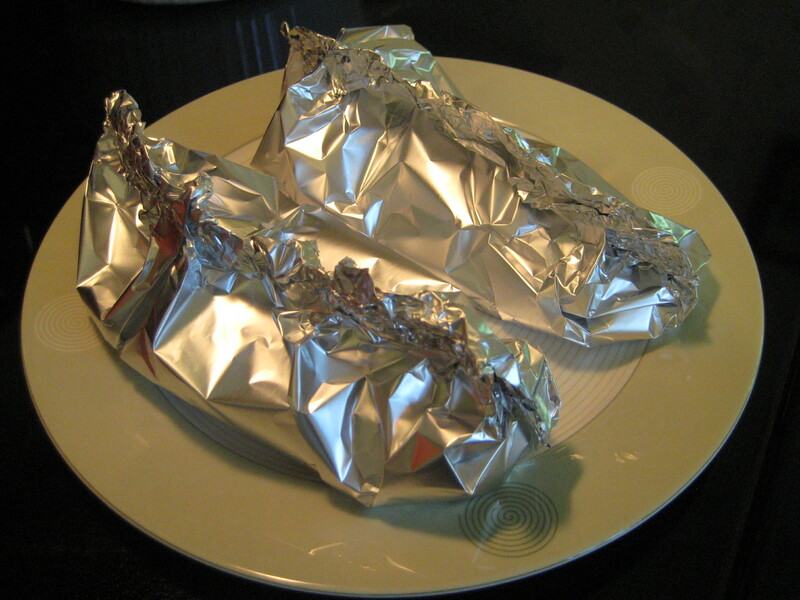 She also mentioned that she grills the salmon fillets in a aluminum foil packet, so I did that as well. 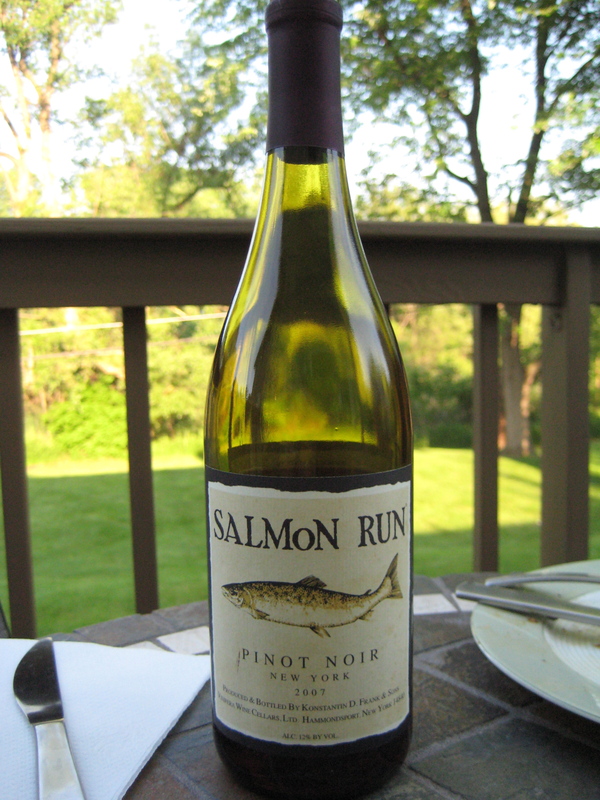 12 minutes later, the salmon was ready. 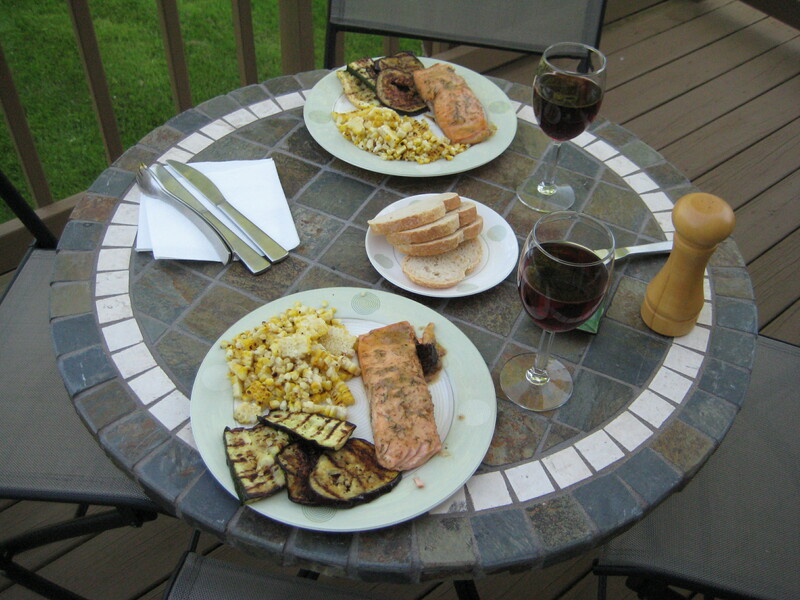 I served the salmon with grilled yellow squash, zucchini, eggplant, and corn, which I also purchased from the market. And for dessert, a bowl of ice cream for Joel and a Tofutti Cutie “ice cream” sandwich for me.